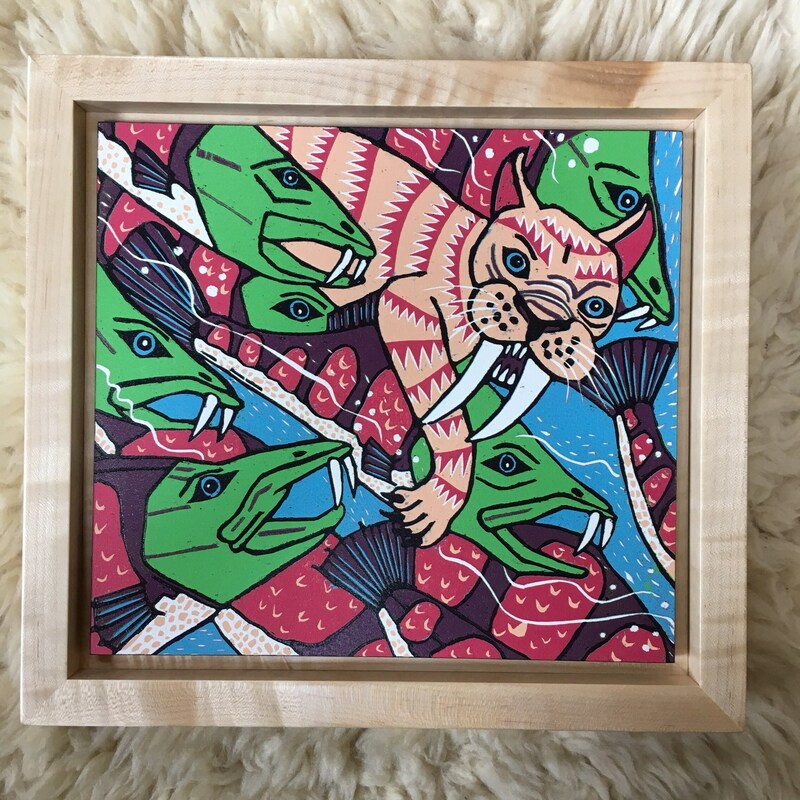 Framed version of my saber tooth cat and sabretooth salmon woodcut. These unique beasts roamed the land years ago. Would have made life near rivers so interesting! 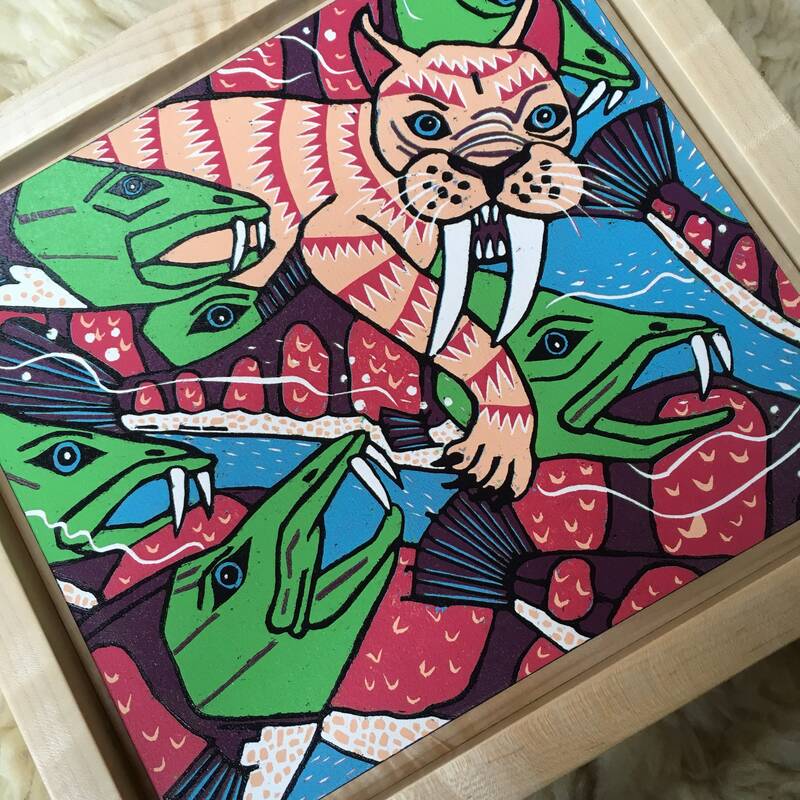 Can you imagine these big cats roaming and unique fish swimming nearby? 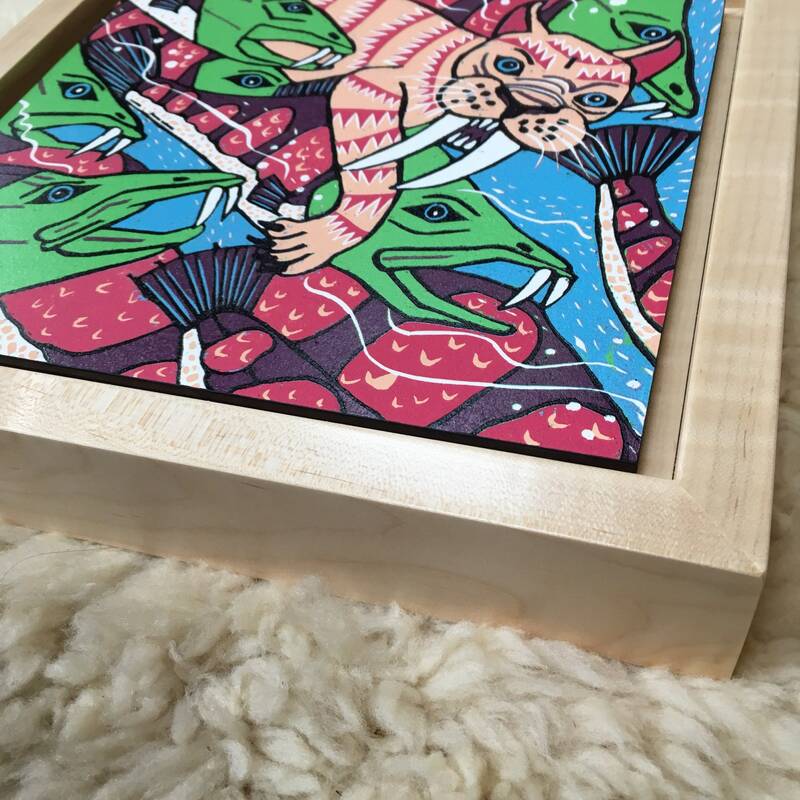 Currently framed in natural curly maple and ready to ship. 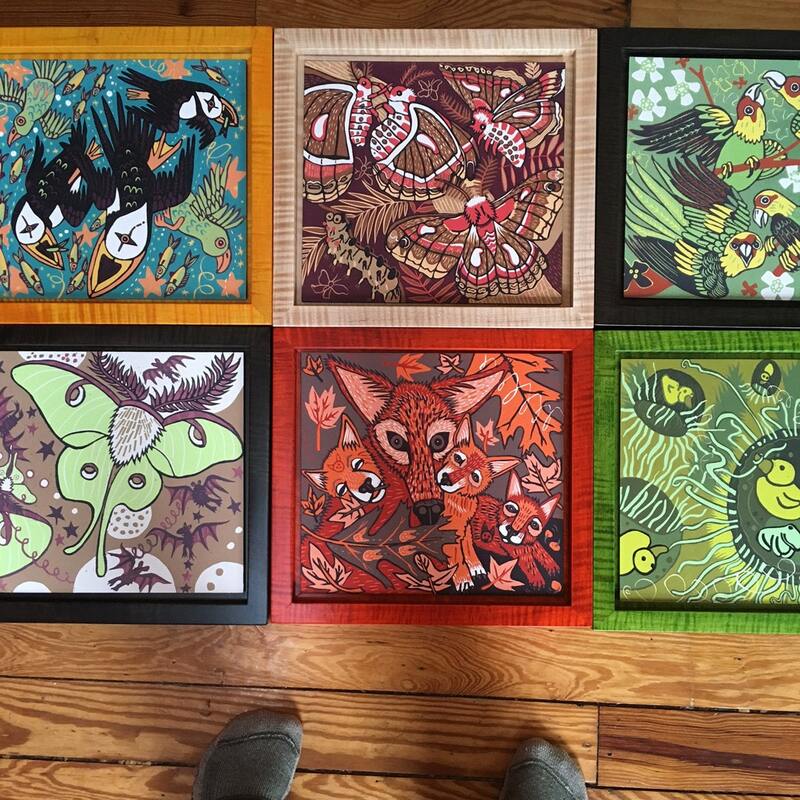 framed size about 12" x 13"
Send me a convo and feel free to choose the color of frame you like. The final picture shows many of the available stains. These also look amazing in sets!